While many areas of the U.S. are still getting hit with snow, spring is right around the corner! That means in just a few short months, it’s going to be time to fire up your cooling system. Don’t get stuck without cooling on that first hot day – HVAC.com’s air conditioner repair guide helps you navigate air conditioner repair stress-free! Whenever you experience performance problems with your air conditioner, whether it isn’t producing enough cooling or isn’t turning on, troubleshooting should be your first step. Some simple troubleshooting has the potential to solve the issue, getting your home cool faster without the expense of calling an air conditioner repair company. Check your thermostat’s settings. The thermostat should be set to cooling model, and the temperature set a few degrees lower than the home’s current temperature to initiate a cooling cycle. Make sure the hold or vacation setting hasn’t accidentally been initiated to halt your air conditioner’s operation. Check power. Make sure your thermostat has power, as well as your cooling unit. Replace batteries in the thermostat if necessary. 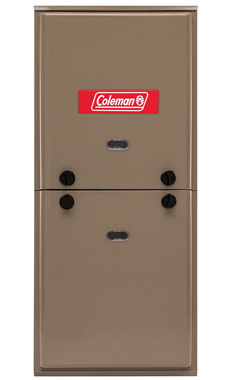 Ensure the power switch of your air handler hasn’t been turned off (it is located on or near the unit inside your home) as well as the power switch to the outdoor component, if applicable (this is likely positioned on the exterior wall of your home near the unit). Check your home’s electrical panel to ensure the breakers of the circuits suppling power to your cooling system are not tripped, or that fuses are in good shape. Check your air filter. A filter that has become clogged with contaminants can restrict airflow, preventing cool air from coming into your home. It could also cause the cooling system’s coils to freeze up, inhibiting performance. If your filter is dirty, replace it with a new one or clean your reusable filter according to the manufacturer’s directions. If these air conditioner troubleshooting steps don’t solve the problem, it’s time to call a local HVAC company for air conditioner repair. Air conditioner repair costs vary greatly, depending on the issue your system experiences. The cost of repairing a home’s cooling system is often stressful for homeowners, especially when it’s a sudden, unexpected expense. The average air conditioner repair costs homeowners approximately $300. Air conditioning repair contractors typically charge a fee for a service call, covering the diagnostics necessary to determine what is wrong with your cooling system. Service call fees typically range between $50 and $100, and may be more if you need emergency air conditioner repairs. While some simple troubleshooting is easy to do, air conditioner repairs should always be performed by a professional. 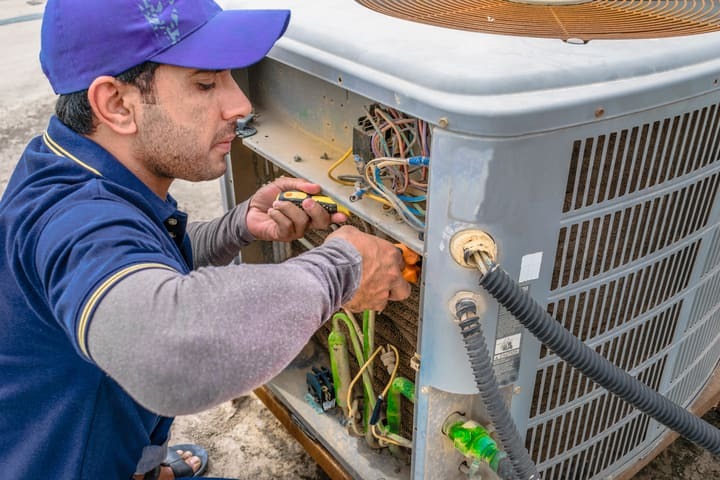 It’s important that air conditioner repairs be done this way not only to ensure the job is done right, but to protect your air conditioner warranty coverage – did you know HVAC equipment warranties may be invalidated if you have an unlicensed technician perform the work? To prepare for your air conditioner repair service call, make sure your home is accessible for your technician. If your exterior air conditioning unit is behind a gated fence, make sure your fence is unlocked for the technician to enter. 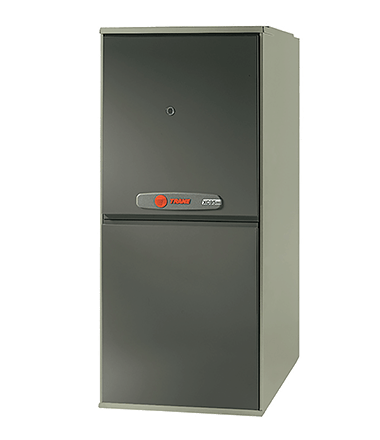 Your technician will also likely need to evaluate your air handler, typically located with your furnace in the garage, basement, or utility closet of your home. When your air conditioner repair technician arrives, he or she discusses the issues you face with your system. The technician inspects the system and its components to make a diagnosis. The findings are discussed as well as the proposed repairs, and your technician should be able to answer any questions you have before starting the repair work. Sometimes, it is not possible to perform air conditioner repairs same-day. Parts may need to be ordered or picked up from a supplier. If this is the case, a future date will be made as soon as possible to get your air conditioner repairs finished. Make sure your air conditioner is performing optimally this cooling season – enlist the help of a qualified, local air conditioning repair company! HVAC.com’s HVAC Contractor Directory connects homeowners across the country with HVAC companies who provide quick and reliable air conditioning repair. Search by your ZIP code to find local air conditioner repair contractors who are able to help with all your cooling system needs.